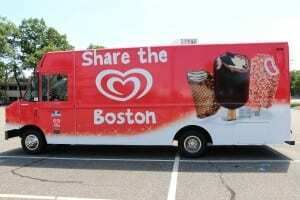 Good Humor Truck and Pedro Martinez with Free Frozen Treats on June 25, 2013! Reminder this is TODAY! Keep an eye out for this to score some free treats! Good Humor and Pedro Martinez are teaming up to “Share the Love” with free ice cream treats on Tuesday, June 25, 2013 from 11am-1pm. Look for the Good Humor Truck (and Pedro) at Copley (and other locations throughout the city all day long) to score free frozen treats! Yum!